That time of the year again. The Hash Calypso Show. The greatest show on earth, as banners all over town proclaim. The air at the Portuguese Club was full of excitement, as the band fine tuned the sound system.Runners were a bit short on the ground but a late arrival by the H.M. meant that by start time the usual Mottley crew were ready to chase down Betty and I have to say a confused Michelle (would she drop the flour in the right place?). The hash itself was like acting out an old calypso. Follow de big truck. We bounced up the carib music truck twice on Ariapita Ave., and lo and behold what should we find at the beer stop in St. James but the same big truck. Then it was a case of wine on de big truck, as we polished off a couple of cases of beer. The beer must of gone straight to some peoples’ heads , as the majority set off again in the wrong direction following absolutely nothing. Yours truly led a small pack of elite runners off the correct trail and so through St Mary’s playing trail filled and back to the club, picking up a lot of short cutters on the way. A good run. The beer stop was great. A real Carnival atmosphere that set us up nicely in the main event of the day. The Hash Calypso Show. What a bacchanal. Well I did find a little enlightenment during Carnival Tuesday while meditating in the noon day sun with a scotch and soda in my hand. Yes, sometimes we need a little spirit to enter the realm of spirits. There were lots of spirits in Die Hards. I was listening to a song which to my mind sounded like "When last you take a ride on a donkey" and in fact that is what I was singing. (I last rode a donkey in Jerusalem a long time ago). However, I was informed by someone in the band that I should be singing "When last you take a wine on a town ting". I put it to you that being a Mahashma I have never had a town ting. The calypso contest is over but as usual the controversies now begin. Some people are taking themselves too seriously and have forgotten we are hashers. In the words of one entry "The hash is a family all ah we is family." Tante Merle has already gone public and says all the Judges tief. Perhaps, she thought she should have won. The Harper Boys started pelting things along with Slim and Gerry and some others. This behavior we can do without and does not belong on the hash. It may seem like fun to them but others got quite upset. Judge Russell Baboolal was accused of bias and favouritism and he promptly left after the results was announced. He felt insulted. The clear winner was the Great Martin who pulled of a hat trick. Well done Martin. Well, enough said the moving finger having written wants to stop, so the search for enlightenment continues in Arouca. Birthday Corner: Randall, Jamison, Hanif, Dooks, Susan Hale and more to come………….. Proceed East along Eastern Mn Road to Valencia Junction. At Valencia Junction take left path and proceed along Valencia Mn Road. 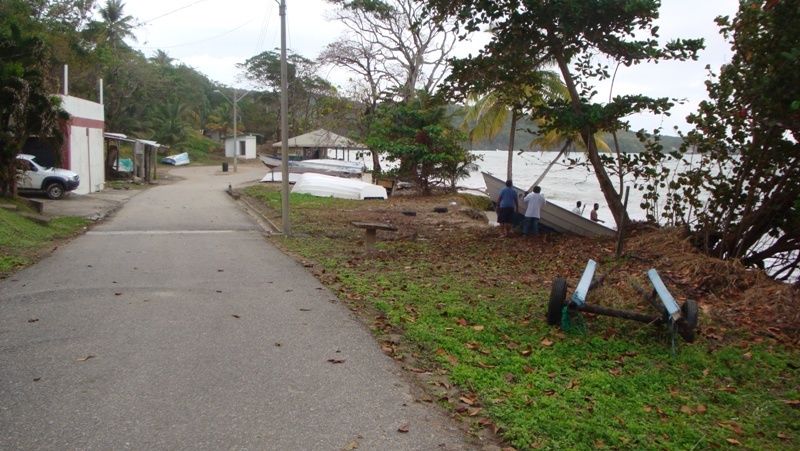 Proceed (30km) along Toco Mn Road past Matura, Salybia, Balandra, and Rampanalgas until Cumana Outreach Health Center at corner of Toco Mn Road & Anglais Road. 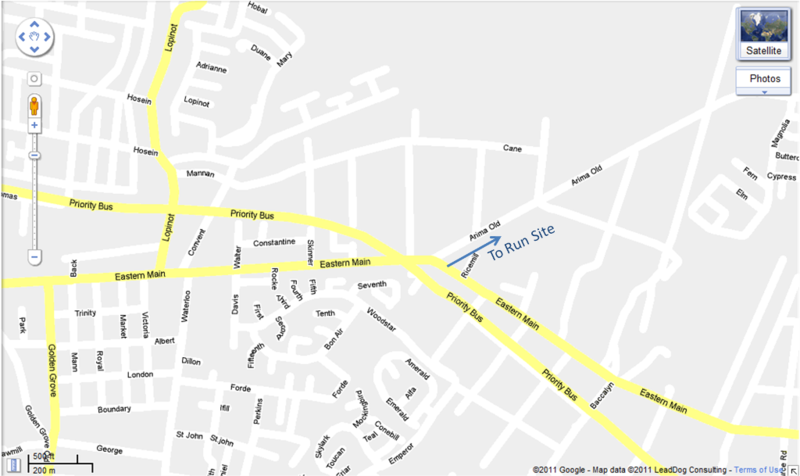 Proceed (1km) past Cumana Outreach Health Center along Toco Mn Road, to Cumana Depot Road on right (beach side). Turn right onto Cumana Depot Road . Follow road to beach. 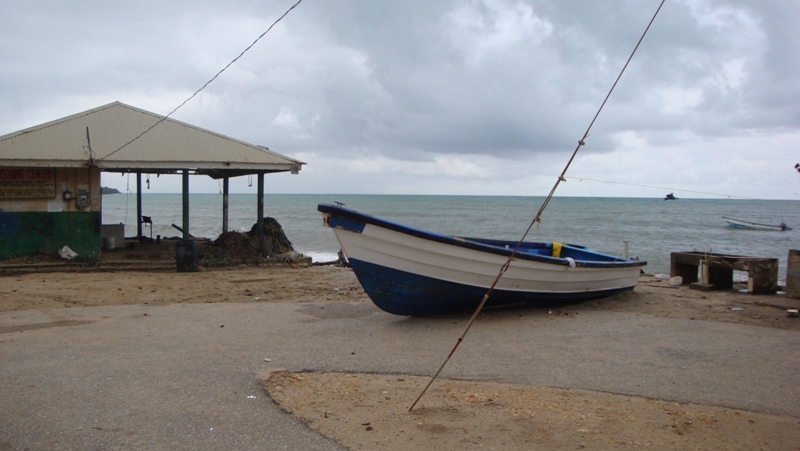 Parking area/ Run site on beachfront. Follow HHH Signs. Food on sale after run. Proceed East along Eastern Mn Road (km) to Valencia Junction. 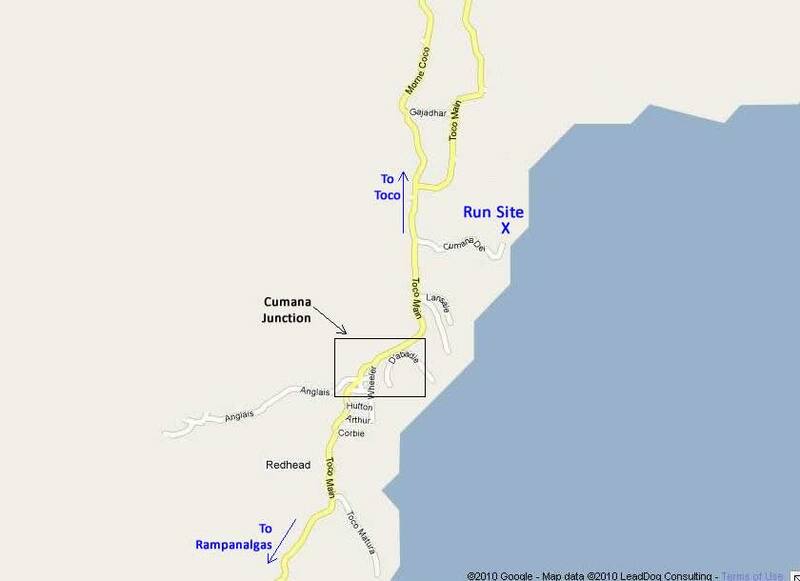 Proceed (30km) along Toco Mn Road past Matura, Salybia, Balandra, and Rampanalgas until Cumana Outreach Health Center at corner of Anglais Road & Toco Mn Road. Proceed (1km) past Cumana town centre (NP Gas Station, Frank Chinee shop) along Toco Mn Road, to Cumana Depot Road on right (beach side). 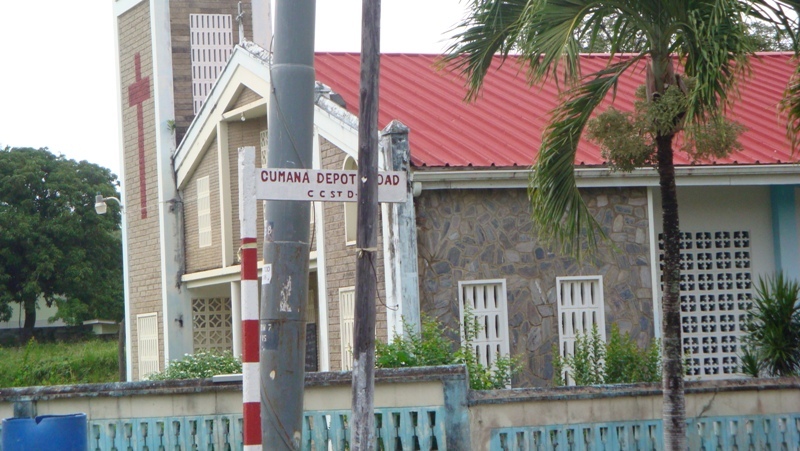 Turn right onto Cumana Depot Road (Church at corner). Follow road to beach. Parking area/ Run site on beachfront. Follow HHH Signs. There’s road works along the CRH at Arima & usual traffic on EMR heading into Valencia junction, so allocate sufficient time in your journey plan. Roadworks on CRH at ~Demerara Rd, and the all too familiar annoying backup heading into Valencia Junction…We suggest leave Port of Spain by 12:30pm or earlier!. Important: We won’t allow anyone to begin the run after the pack has left. There are some areas along the Toco Mn Road where the road has collapsed/ being repaired. Please exercise caution! Car-pooling is recommended. Designate a driver. Those interested in a maxi-taxi shuttle from Port of Spain please express your interest on form below. Once there are sufficient numbers, cost & pick-up/ drop-off info will be relayed via usual shuttle posse. Feel free to remain and lime/ party with the BeerlyAudBle crew. Music by DJ Richie. Campers are welcome. DIRECTIONS Heading East on Churchill Roosevelt Highway turn left on Golden Grove Road by Bhagwansing’s Hardware and drive North to Eastern Main Road. Turn right (East) and go past Lopinot turnoff on left and drive till you cross the Public Bus Route. 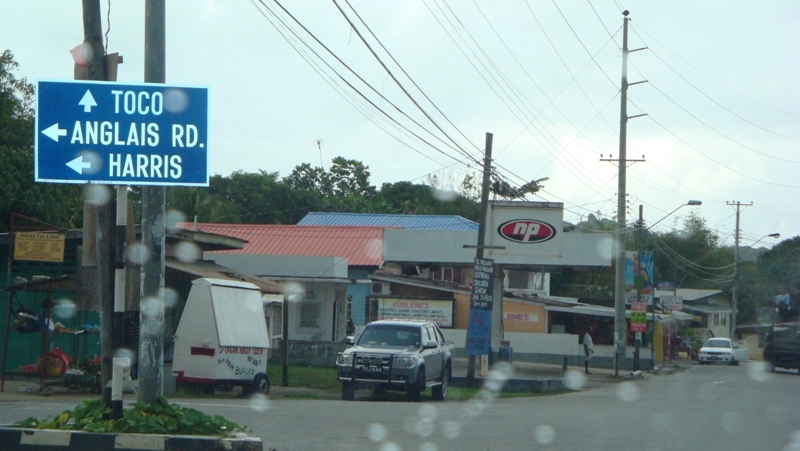 Immediately turn off left on the Arima Old Road (HHH sign) and drive for approx. 1 1/4 miles, turn left (North) by the new development (HHH sign) and head up hill for about 1/2 mile to run site at house on right. SIGNS WILL BE POSTED ON MAJOR INTERSECTIONS AS INDICATED.